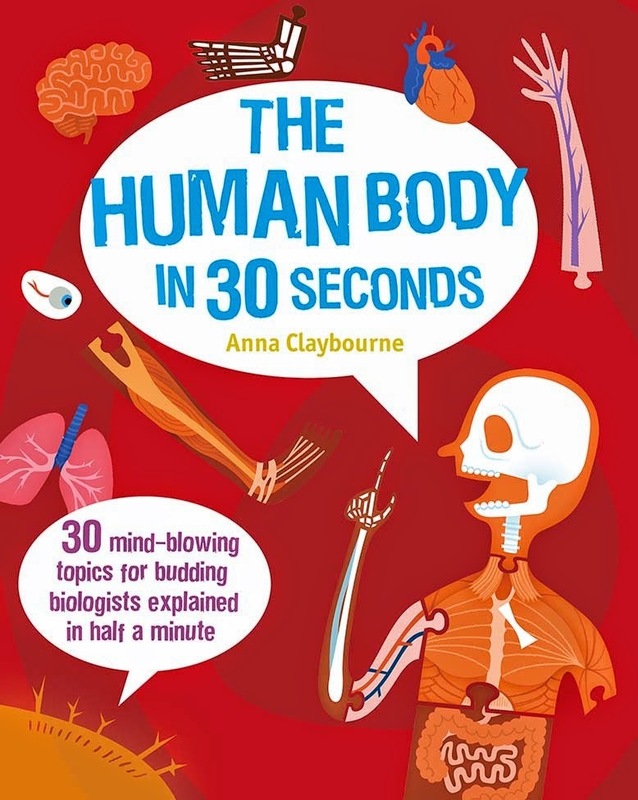 Just about everything you need to know about your body (or at least some of the simple concepts) is shared in short summaries in The Human Body in 30 Seconds. Broken down into six sections: body bits, body structure, survival systems, brain and nervous system, senses, and your amazing body, each section has a short glossary and helpful diagrams. Within sections there’s a double page spread for each topic - the first page with key facts and the second for pictures of skin cells, skeletons, and digestive systems, amongst others. Biologists young and old should all learn something from The Human Body in 30 Seconds and there are instructions for experiments like making a rubber bone, and instructions on how to calculate the weight of your skin dust! A fun introduction to the basics of the human body.